Grammy award winning superstar NE-YO is ready to kick off the holiday season with a special concert on Dec 1st right here in NYC. The big show at the HULU Theater at Madison Square Garden in connection with SJ Presents will be one hell of a show. 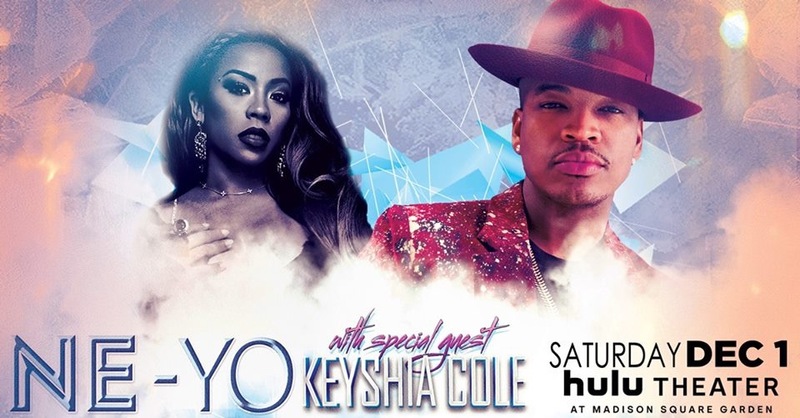 To kick off the nite special guest R&B diva Keyshia Cole will open up the show which is for sure to get the crowd hyped for the soulful crooner. Tickets start at $69 and from the looks of it, this show is sure to sell out. Get your tickets now via TICKETMASTER for the must see show that everyone will be talking about. David Mann: TV and Real Life he is "Mr. Dad"